Orthodontic therapy generally begins during the transition phase of the lateral teeth from milk teeth to permanent teeth, between the ages of 9 and 12 years, earlier for girls than for boys. This is the best phase for performing growth corrections. We offer comprehensive advice on all treatment options. The choice of method will depend on your wishes and needs. Our X-ray technology now is so sophisticated, that the dose of radiation from one X-ray is less than a fifth of that from an overseas flight. Still, we reduce total exposure by only taking as few X-rays as are required and always protecting radiation-sensitive tissue areas. So-called teleradiography analysis reveals not only the craniofacial structure but also individual growth patterns by superimposing the images over time. This is an invaluable tool for managing growth during treatment. The correction of the misalignment is simulated on a model in order to develop a precise treatment plan within physiological limits. The braces required for each individual treatment phase can be accurately planned so that the overall treatment is as brief and mild as possible. This examination checks whether the temporomandibular joints are working correctly and efficiently. It is the only way to detect existing malfunctions for which clinical symptoms have not yet appeared, and to incorporate the temporomandibular joints into the treatment plan. 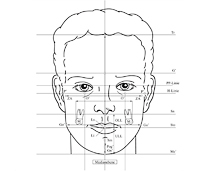 The individual measurements of the head and the position of the temporomandibular joints within the cranium are measures of instrumental functional analysis. Once the position is determined, the jaw models (casts of the jaw) are transferred to an articulator (artificial temporomandibular joint). This functional diagnostic procedure allows the chewing movements to be precisely analysed. Incorrect use of the teeth and temporomandibular joints can therefore be recognised early and treated in a timely manner. The tongue must be correctly positioned in order for the dentition to develop normally. 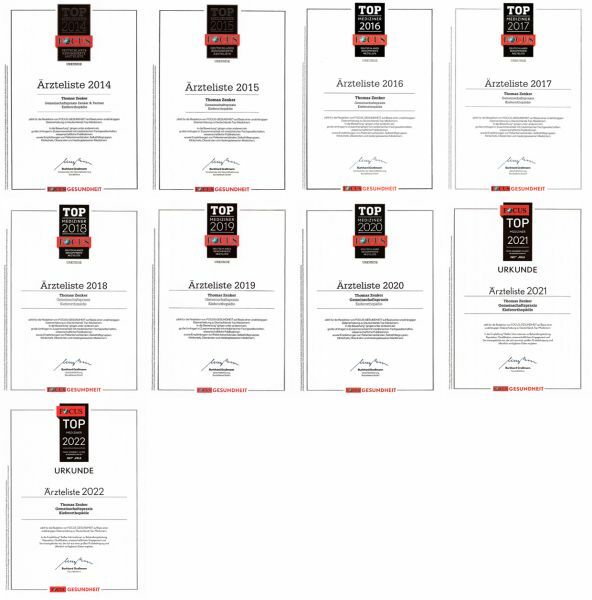 It is therefore essential to check this in a preliminary examination. For treating dysfunctional swallowing patterns we recommend consulting a specially trained speech therapist for swallowing exercises (myofunctional therapy). Once this type of therapy is successfully completed, the misalignment of the dentition will improve automatically in most cases as a result of changes in intraoral pressure. In the best of cases, orthodontic treatment will become unnecessary. Even with only partial improvement, correct tongue function contributes significantly to a more stable result following proper orthodontic treatment and helps prevent recurrence of the jaw dysfunction and the need for a second round of treatment. The chin profile, lip profile changes and sizes, and even the progression and depth of perioral folds are strongly influenced by the precise position of the jaws and teeth. Before we change the position of the teeth and jaws through orthodontic procedures, it is essential that we perform a detailed profile analysis and take the results into careful consideration when planning the treatment. Certain dental malformations need to be corrected through early intervention in the primary dentition. By correcting the course early on, the need for complicated treatment can be avoided. This applies especially to crossbites and large discrepancies between the upper and lower jaws. Early intervention also includes therapies to eliminate damaging habits such as thumb sucking, chronic cheek biting, deviant swallowing patterns, incorrect tongue rest position, etc. Such habits may otherwise lead to jaw malformation, which will in turn have a negative impact on the permanent dentition and overall oral function as the new teeth erupt. We offer the entire range of removable orthodontic appliances for a wide variety of needs. These include conventional expansion plates, repositioners using bionators and almost invisible Invisalign aligners. Appliances are always individually custom-fitted to each patient. Certain dentition problems require fixed appliances to achieve the best results. Mini brackets are smaller than standard brackets, resulting not only in a better appearance, but also greater wearing comfort and less irritation of the mucous membranes from sharp corners and edges. These brackets are constructed in such a way that the archwires do not need to be held in place with ties. This results in significantly less friction, allowing the teeth to move faster and with less pressure. The movement of the teeth is also less painful. Transparent brackets have an aesthetic advantage in that they make fixed braces less noticeable than traditional metal brackets. The brackets used in our clinic are high quality and colourfast so that they do not discolour during treatment. When a fixed appliance is required and needs to be invisible, lingual appliances are one solution. This appliance is fitted onto the back of the teeth so that only the improved tooth position is visible from the outside and not the braces. It is also the most difficult and therefore the most expensive solution that is currently not fully covered by health insurance. 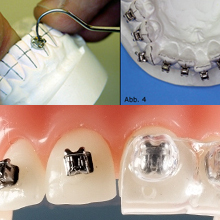 A lingual appliance is not always the best approach and not feasible in certain cases. We will be happy to advise you on your individual case. The indirect bonding method was introduced in order to enhance the precision of the bracket position and reduce patient discomfort. It involves adhering the brackets reversibly on the study models and producing a customised transfer tray by means of a complex procedure. This allows the greatest possible precision when fitting fixed braces, less discomfort for the patient and a shorter fitting time. But the biggest advantage of this method is the shorter treatment period for the patient. Since the brackets are positioned with greater precision, they can be removed earlier. New high-tech archwires made of titanium alloy apply even, steady pressure on the teeth over a long period of time. Unlike conventional steel archwires that apply very high pressure at the beginning and then suddenly loosen up, the new wire materials allow the treatment goal to be attained much faster. The corrective treatment is also gentler on the roots of the teeth and significantly less painful. for preventing tooth loss and operations, e.g. mini implants, Forsus appliance, etc. The developmental discrepancies between the upper and lower jaw are in some cases so extreme that the intervention of an oral surgeon is required in order to achieve a stable result and an aesthetically acceptable profile. This is more often the case with adults, than with teenagers or young adults. In the combined treatment, the orthodontist adjusts the dental arches in all three levels in such a way, that the oral surgeon can then surgically correct the position of the jaw. This requires a great deal of experience and effective communication. 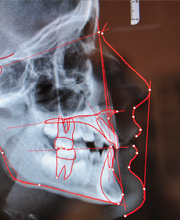 We have been successfully working together with reliable oral and maxillofacial surgeons for years and are able to offer you excellent treatment in these particular cases. 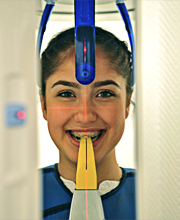 During orthodontic treatment we see our patients much more often than the dentist does, and we therefore take the opportunity to advise them on oral hygiene every time we check their braces. The individual patient’s caries risk can be evaluated by determining the saliva buffer capacity and the cariogenic microorganisms in the oral flora. An effective cavity-prevention routine can then be established based on the results (a balanced diet, optimal oral hygiene, medications, recall interval). Sweets are not the only things that can damage teeth! Our specially trained dental hygienist explains the connection between nutrition and oral health. Every orthodontic treatment increases the risk of caries, especially when fixed appliances are used. This is because oral hygiene procedures as well as the self-cleaning of the teeth become much more difficult. For example, whitish caries marks may appear around the bands and the brackets. Therefore, it is extremely challenging for the patient to achieve a perfectly clean result on his own. Plaque and food particles often remain on the chewing and smooth surfaces of the teeth and especially between the teeth. Scientific studies reveal that professional teeth cleaning performed on a regular basis, of addition to a good personal oral hygiene routine, prevents gum diseases in the long term, since the total reduction in caries-causing bacteria is effective for up to 6 weeks. Professional teeth cleaning is performed by a specially trained dental assistant who removes all caries and periodontitis-causing bacterial plaque from the teeth in the entire dentition and from the fixed appliances. The frequency of these prophylaxis sessions is determined according to the individual caries risk and personal oral hygiene effectiveness and should generally be scheduled for every 2-3 months. The length of each session depends on the patient’s oral hygiene status and the complexity of the fixed appliance. One session usually lasts around 30 – 45 minutes. The area surrounding the brackets is more vulnerable to caries, because this part of the tooth surface is especially difficult to reach with a toothbrush. Over time, residual plaque can demineralise the tooth enamel. In addition to personal oral hygiene, a special protective varnish has been developed to protect the surfaces of the teeth from unsightly white marks. Cervitec® protective varnish contains chlorhexidine and reduces the load of streptococcus mutans in the mouth, one of the main causes of caries. At the same time, a reduction in dental plaque build-up enhances the protective effect of fluoride and prevents gum inflammation. Due to various causes, the front teeth of many patients have an unfortunate tendency to shift again, even after successful orthodontic treatment. Instead of wearing one of the health insurance-approved removable permanent retainers every night, the position of the front teeth can be permanently and firmly stabilised without discomfort by fitting a flexible wire onto the back of the teeth. This stabilisation method can be used on patients who have never undergone orthodontic treatment but are nonetheless experiencing changes in the position of their front teeth (often caused by pressure from the wisdom teeth). A custom-fitted mouthguard is proven to reduce the risk of injury to the teeth during sports. Here are some tips on what to do in an emergency.